President Obama has announced a firm U.S. stand against whaling by directing federal departments and agencies to use diplomatic sanctions to encourage Iceland to cease international trade in whale meat and products. The president announced his actions to Congress this week, in a response to a report from U.S. Secretary of the Interior Sally Jewell which said that Iceland's whale meat trade is diminishing the effectiveness of the Convention on International Trade in Endangered Species of Wild Fauna and Flora (CITES) -- one of the most important measures to protect threatened species. Iceland's actions jeopardize the survival of the fin whale, which is listed in CITES among the species most threatened with extinction, and they undermine multilateral efforts to ensure greater worldwide protection for whales. Just as the United States made the transition from a commercial whaling nation to a whale watching nation, we must enhance our engagement to facilitate this change by Iceland. The letter also directs members of federal agencies to take actions like raising official objections, encouraging Iceland to foster activities like whale watching, and monitoring the activities of Icelandic companies that engage in commercial whaling and trade in whale parts. Unfortunately, President Obama failed to impose more effective measures through targeted trade sanctions. 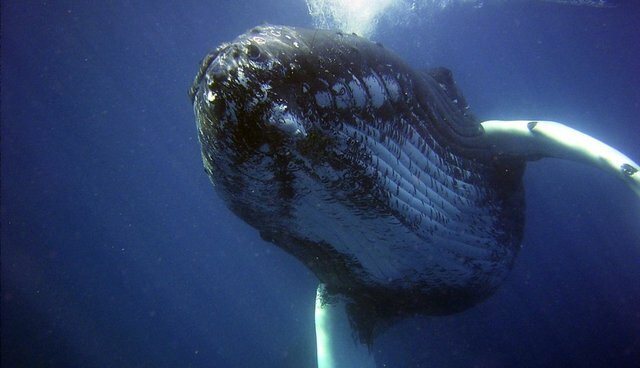 NRDC and other animal welfare and conservation groups have been calling on the Obama Administration to impose targeted economic sanctions since 2010 and have identified several Icelandic companies as potential targets – including major seafood industry players that are directly tied to Iceland's whaling industry. "The Icelandic government continues to increase its fin whaling quotas despite international pressure to cease its commercial hunting operations," said Secretary Jewell. "The President's actions today highlight our continued concern about and staunch opposition to Icelandic commercial fin whaling and the export of endangered fin whale meat." The news comes just two days after an international court deemed Japan's Antarctic whale hunts activities unscientific, delivering a huge blow to the country's whaling industry.